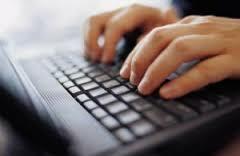 The TOEFL exam allows 30 minutes to complete the “Independent Writing” section. This should usually be 4-5 paragraphs in which you defend a position (viewpoint) you choose on an assigned topic. We will post something soon which breaks down how much time to spend on different activities during this time to complete your essay (e.g. brainstorming, writing, editing & proofreading). To begin practicing writing essays, here are 10 writing prompts which have appeared on ACTUAL (real) past TOEFL tests. This entry was posted in English Blog and tagged academic writing, college writing, English, english as a second language, essay, essay writing, ielts, TOEFL, TOEIC, university. Bookmark the permalink.